John Deere & Co., based in Moline, Illinois, began producing combine harvesters in 1927 to harvest and thresh farm crops. The company was established in 1837 and grew to become the global leader in manufacturing agricultural machines. 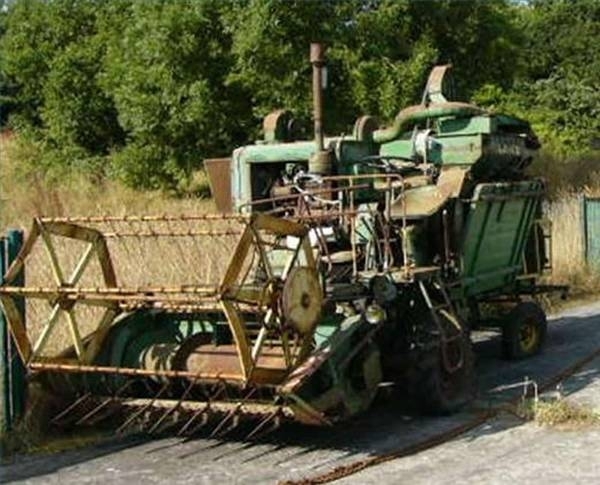 In addition to its standard combine harvester, it produced a sidehill harvester that allowed the combine to navigate steep hillsides to harvest crops. 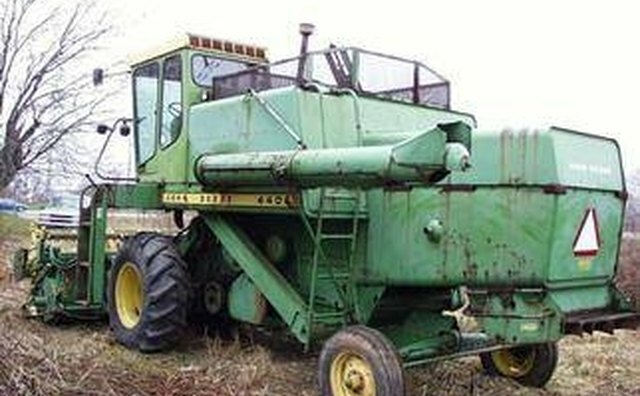 The company's first combine harvester in 1927 is the John Deere No. 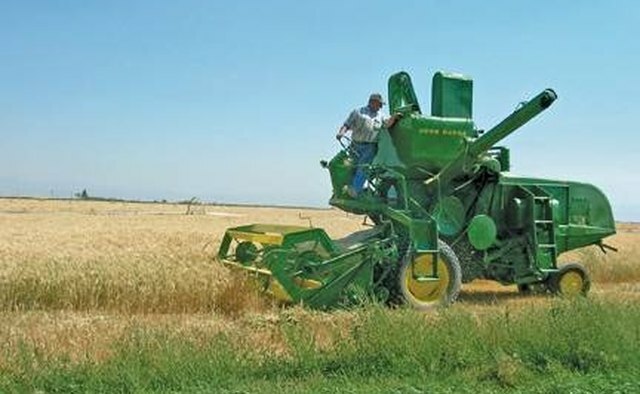 2, while the John Deere No. 1 is a smaller and more versatile model. 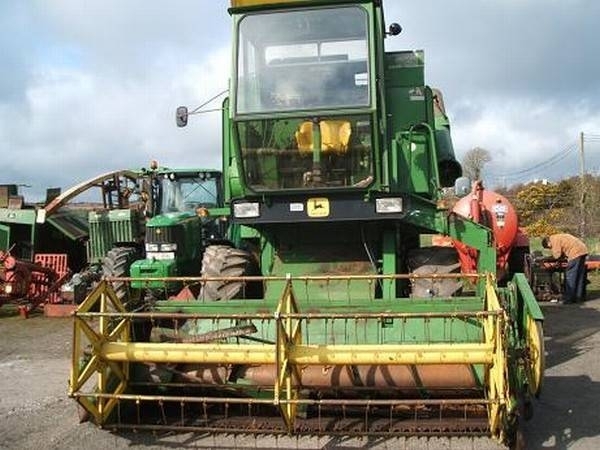 The combine harvesters Nos. 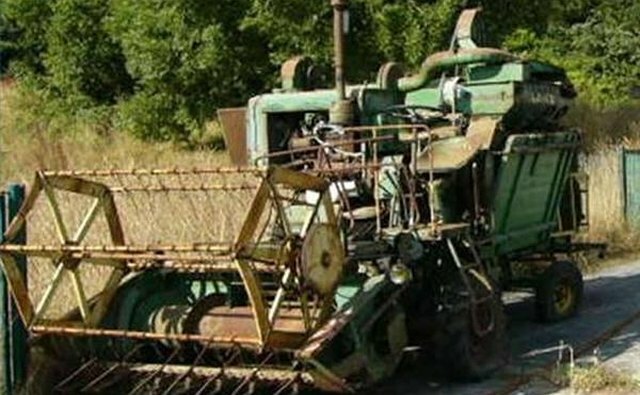 1 and 2 were replaced two years later as John Deere engineers came up with a lightweight version. 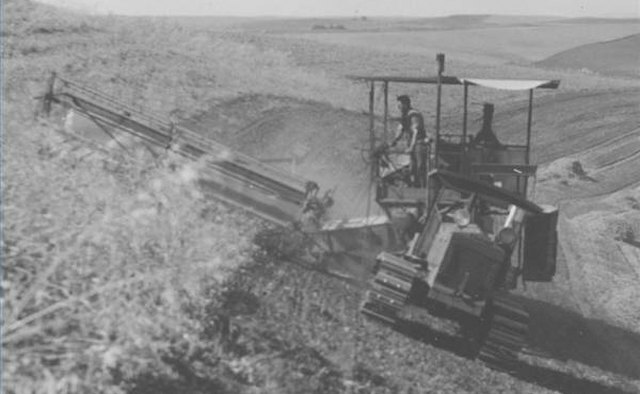 By the 1930s, John Deere and other farm equipment makers developed the sidehill leveling system to harvest crops on 50-percent-grade slopes. After World War II, R.A. Hanson Co. manufactured leveling systems for John Deere combine harvesters that allowed more efficient hillside harvesting by preventing grain from balling up in one section of the separator. 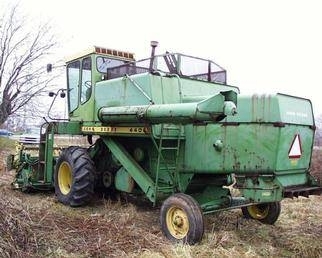 In the 1950s, the company developed the Variable Speed Drive self-propelled combine harvester and the corn head attachment that strips husks from corn in the field. 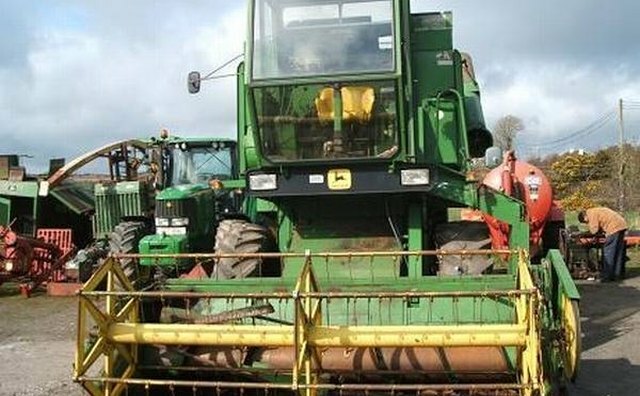 In 1997, John Deere bought equity stock in a Chinese combine harvesting company, In 2007, John Deere acquired a tractor plant in Ningbo, China.